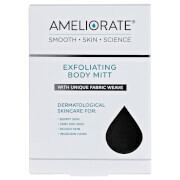 The AMELIORATE Smooth Glow Duo has been carefully curated to promote smoother, softer and radiant-looking skin. The rich and emollient moisturiser uses the exfoliating powers of Lactic Acid to sweep away dead cells, resurfacing the skin and promoting renewal and repair. At the same time, a potent blend of Squalane, Camelina Oil and Shea and Cocoa Butters works to lock in hydration for up to 12 hours, strengthening the natural moisture barrier and improving elasticity. 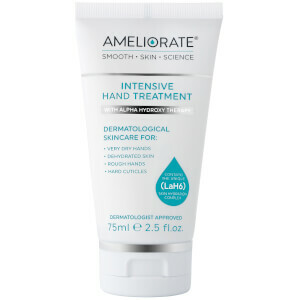 Water soluble pigments infuse skin with a natural-looking golden glow to camouflage redness caused by Keratosis Pilaris. The body cream provides instant comfort whilst also improving the skin texture and condition over time for smooth, soft and healthy results. 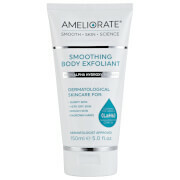 Body Lotion: Massage evenly into clean, dry skin. Wash hands immediately after use. Removes easily with soap and water.